Flu season is upon us. The virus can pass easily from person to person, and commonly used surfaces can become contaminated. 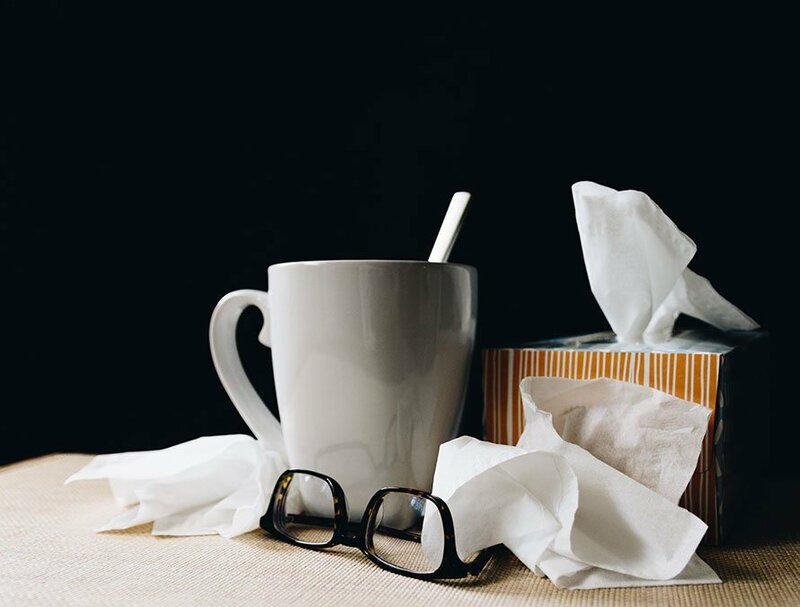 The flu can spread quickly in workplaces where employees spend the majority of the day together. Infected people can then go home and pass the illness to their family members, who can infect others at their jobs or schools. In order to prevent the spread of the flu at work, employers and employees should take these simple but effective steps. One of the best ways for people to avoid contracting the flu is to get vaccinated. A flu shot can protect against the most common strains of the virus. In some occupations, such as healthcare, employees may be required to get an annual flu shot. All people can reduce their risk of getting sick from the flu by maintaining a healthy lifestyle. That means eating a balanced diet, exercising regularly, and getting plenty of sleep. Employees should be encouraged to cover their noses and mouths with a tissue when sneezing or coughing. Employees should then wash their hands with soap and water for 20 seconds or use hand sanitizer to prevent the spread of germs. The flu virus can contaminate surfaces and make others susceptible to infection. Employees should avoid using each other’s phones, computers, and desks. Common areas, such as kitchens and breakrooms, should be disinfected regularly to prevent the spread of germs on surfaces that are touched by many people throughout the day. If an employee might be sick, he or she should avoid shaking hands and other close contacts with others. An employee who definitely has the flu should be encouraged to stay home until he or she has been fever-free for 24 hours. Even if an employee does not have a fever, he or she should avoid coming to work if symptoms such as a headache, body aches, fatigue, vomiting, diarrhea, or a runny nose are present. The flu is a serious threat to the health of all people, but especially children, the elderly, and pregnant women. The virus can spread quickly in areas where people spend a lot of time together. One sick person can infect an entire office, and then each individual can spread the virus to others at home. Prevention is the key to limiting the spread of the flu. By getting vaccinated and practicing good hygiene, the risk can be reduced. 1st Aid Supplies offers hand sanitizer and disinfecting wipes that employees can use to keep their hands clean and to kill germs on surfaces at work. Consistently using these measures can help keep employees safe. Order flu prevention supplies from 1st Aid Supplies today!